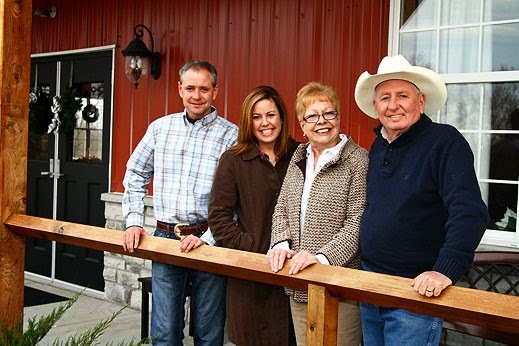 Faulkner's Ranch and Pumpkin Farm is a family owned, family operated, and family loved business. Each season you can find the entire Faulkner family either working or just hanging out on the farm. For those of you who have been visiting us since the beginning, you might recall that Faulkner’s Pumpkin Patch used to be located a few streets over. When we moved to our new location, we wanted to make sure that we added some very special touches as we were building the new barns. For example, have you seen the pony murals at the entrance of the Pumpkin Farm? Each pony is named after a grandkid in the Faulkner family. The ducks are fondly named after the Uncle Clyde and Charlie, who would travel to Kansas City each year to work on the pumpkin farm. This past December, Clyde passed away suddenly. 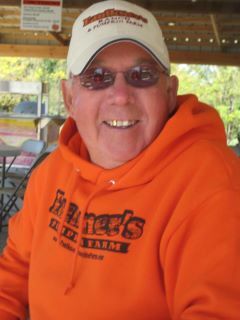 It just isn't the same on the farm without him, which is why this pumpkin season is dedicated to his memory. All of the murals were painted by Pat Barron, a local Kansas City artist and amazing friend of the Faulkner family. In addition to painting, she also teaches horseback riding lessons and has taught each of the grandkids how to ride. So, the next time that you're out at a ranch stop and see if you can find some of these special details! We look forward to seeing you out on the farm! PS - Don't forget! This weekend is Wild Western Weekend! We've got lots of special events planned!